The above resource shows how to properly dispose of any unwanted medication if a drop box location is not accessible. Jefferson County has a number of permanent drop boxes that take medication annonymously and dispose of them safely. Please see next resource for more information on locations and hours. Above are the Jefferson County Drop Box locations with hours where medications can be disposed of. Please no needles or liquids. It is also preferred to place medication in clear ziplock bags out of the bottles and packaging. 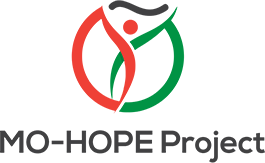 Our partners at NCADA have teamed up with a few groups to start the MO-HOPE Project to offer naloxone training on overdose prevention and reversal and to raise awareness of the opioid crisis. They offer Naloxone training to law enforcement, providers and other first responders. Just click the picture above. The above resource offers different ways to treat chronic pain that do not include opioids. This resource offers a variety of ways in which opioid misuse can be prevented. Please see all the resources this page has to offer, in order to have a comprehensive approach to opioid misuse.